Home Vape Tutorials Opinion Vaping without Nicotine, Is It Safe? 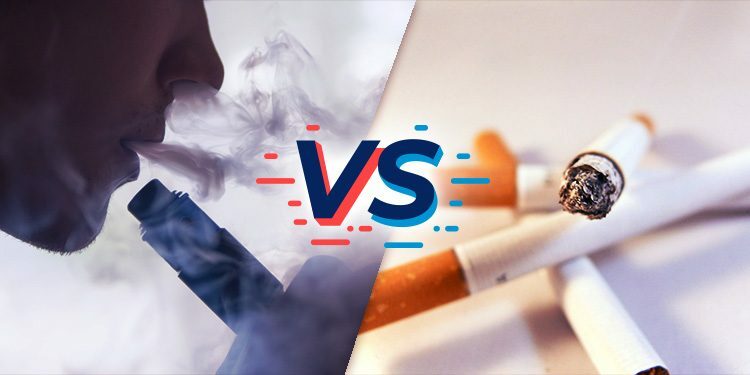 What’s the difference between a vaping device and a cigarette? The major difference between a vaping device and a cigarette is just that; choice. A cigarette does not give you a choice of how much nicotine you get. A cigarette can provide a large amount of nicotine, how much exactly is unknown. E-cigarettes give you the freedom of choice when deciding just how much nicotine you use. This is effective for lowering nicotine levels over time. Vaping can be a direct replacement for those quitting smoking but it can also be a crutch for completely saying goodbye to nicotine. I myself have been vaping for almost 5 years and have no plan on stopping. I am not bothered by the nicotine in the e-juice nor the dependency I have on it. 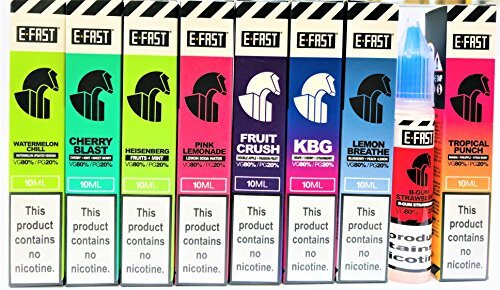 When I started vaping, I was using a 24mg e-juice in a Kangertech Evod pen, since then I have come down to 3mg freebase nicotine e-juice and 6mg Salt Nicotine E-juice. While many are like me, there are also a large group of people who are gradually working towards being nicotine free. The endgame of vaping is ideally to be nicotine free at some point. Once a person reaches the stage of no longer being dependant on nicotine, the habits are still hard to kill. The hand movements, the feeling of the device in the hand. It can make it difficult to really keep away from nicotine. Luckily, almost every company out there offers a zero nicotine solution for their entire selection of e-juice. You might think “why would you vape without nicotine“, the answer is simple, really. Vaping is quite enjoyable. The experience of sampling flavors, making DIY e-juice or coil building becomes a lifestyle hobby of sorts. Staying involved with something that a person enjoys is simple when a nicotine-free solution is offered. There is absolutely nothing wrong with vaping nicotine free e-juice, which is just as safe as traditional vaping and it can actually improve the experience. Nicotine does have a certain effect on the flavor of an e-juice, just like the difference between nonalcoholic beverages vs their alcoholic counterpart. 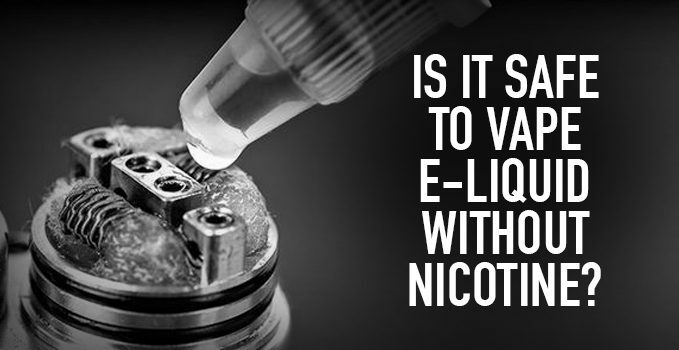 E-juice without nicotine will display different tasting notes compared with nicotine. Flavor nuances not noticed before will often times show up when nicotine is not present. Yes, absolutely. Vaping without nicotine is the same as vaping. No matter how you cut it, vaping is vaping. 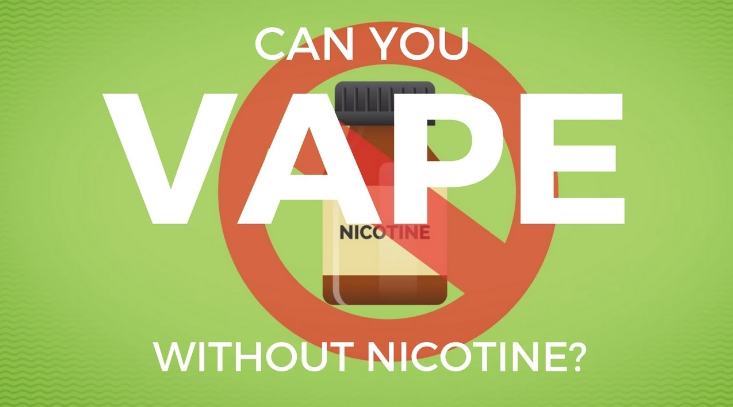 If we look beyond the obvious context of safe nicotine free vaping, there is a small concern with nicotine free e-juice. This issue lies with minors. Young people who have never smoked cigarettes before. There is definitely a trend in youth vaping and it hurts the overall image of the vaping industry. Zero nicotine is not safe for young people as it could lead them to either vaping with nicotine or purchasing traditional combustible cigarettes. This is not going to be the case all the time but I have seen underage youth try to defend their decision to vape by saying, “It does not have any nicotine“! Nicotine or not, underage is underage. Zero nicotine is essential but it does allow more of a window for youth to grab a vaping device and put nicotine free e-juice into it. As for safety overall, nicotine is an addictive substance so nicotine free e-juice could actually be considered safer than with nicotine. Nicotine is essential to anyone who is trying to stay off cigarettes. Many people will likely never quit vaping and use it as a direct replacement rather than work down the strength ladder. Then there is those who will eventually get off nicotine altogether and I believe that is what nicotine free e-juice is really meant for. In those few days after stopping nicotine, a nicotine-free solution is a major help in not going back to nicotine again.